Fire branded indigenous Gospel rapper - Oba Reengy is back with a song titled - 'Olowogbogboro'. 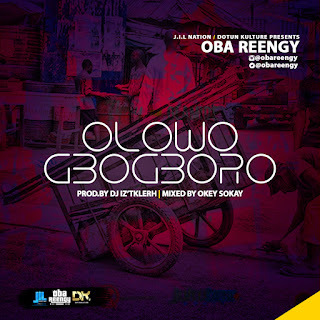 'Olowogbogboro' brings to the reminder of every listener that it's only God's blessings that makes rich without struggle or stress and also connects our hearts to God to ask for divine help. 'Olowogbogboro' - (The One with the outstretched arms) is ready to pour his blessing on you! Produced by Dj Iz'tklerh. Mixed by Okey Sokay.